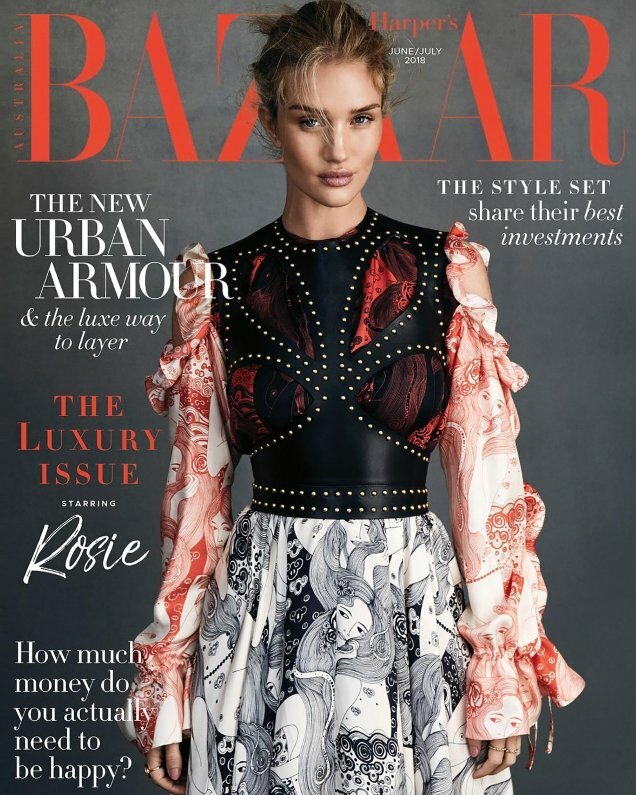 Rosie Huntington-Whiteley seems to be set for life in terms of fronting Harper’s Bazaar Australia (not to even mention the British edition of the magazine). The Brit beauty just landed her fourth cover of the Aussie publication for the title’s double June/July 2018 edition, proving she’s the ultimate Harper’s Bazaar cover girl. Photographed by Darren Mcdonald, the Brit model, who recently launched her very own beauty website, wears Alexander McQueen (styled by Kristen Ingersoll) in the newsstand cover image (below). In the black and white subscribers alternative (after the jump), Rosie cozies up at the beach wearing a Miu Miu coat. The covers were a hot topic on our forums. 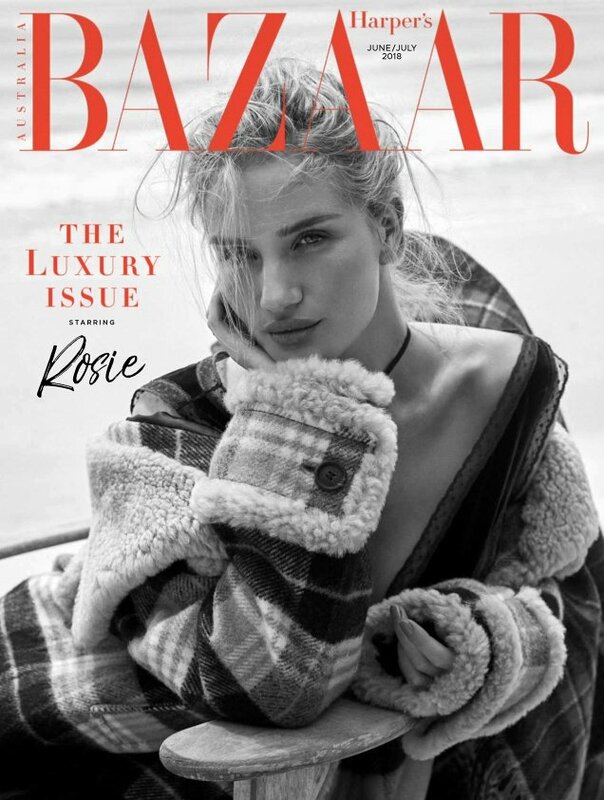 “Is it just me or over the past few years, whenever Rosie scores a cover there is an 88% chance that it’s a Bazaar cover?” pointed out forum member badgalcrush. “Omg, I was gonna say! Bazaar UK and Australia are obsessed with her. I guess her covers must sell a lot?” HodanChloe asked. Sharing the same sentiments was ivano. “She’s a HB girl! That is a new record surely! Stunning shot by the way,” he admired. “I love the moodiness from Rosie’s ed,” fluxxx added. “I prefer the black and white cover (even though that bit of hair is really annoying me! ),” agreed 333101. Check out Rosie’s cover story and drop us a comment here.